Embrace shades of lime, peppermint, chartreuse and teal for a fabulously fresh feel at your window. Dozens of gorgeous fabrics and finishes to choose from. We’ll bring them all for you to browse during your in-home appointment. View our range of Green Roller blinds, perfect for any room looking for a touch of green. View our range of green Roman blinds, perfect for any room looking for a touch of green. Give your room a natural feel with green Pleated blinds. View our range of green blackout blinds, perfect for any room looking for a touch of green. From tranquil sage to zingy lime, in this article we show you how to choose the perfect shade of green for your interior. 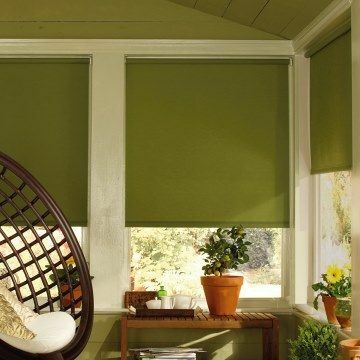 Summon the spirit of nature by choosing green blinds from Hillarys. Our collection has green blinds full of rustic charm and designs loaded with contemporary cool. 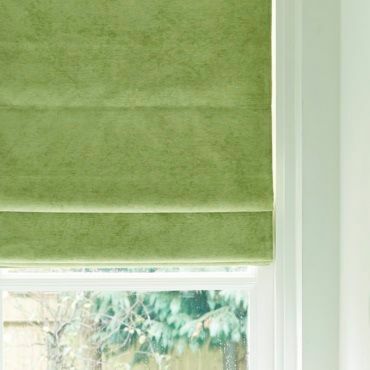 You’ll find plain green blinds in shades such as mint, lime, olive … and in tones that are naturally simple and stylish. Or browse our floral prints for looks that bring a hint of the great outdoors to your home. Alternatively, go in a different direction. Check out the geometrics and heritage patterns in our collection for fresh fabrics that are right on trend. Do you want Romans, Rollers, Venetians, Wooden Venetians, Pleated or Verticals? View our whole collection of blinds or go straight to the type you like. Green blinds go great with earth tones. And black and white. Bright colours too. But that doesn’t mean all our green blinds work with every interior. Fortunately, you can see how all our green designs look and feel up close. Book a free home appointment and your local advisor will come to your home, so you can browse our green blinds and properly understand which fabric is best for your décor. During your appointment, your advisor will offer you tips and expert advice. 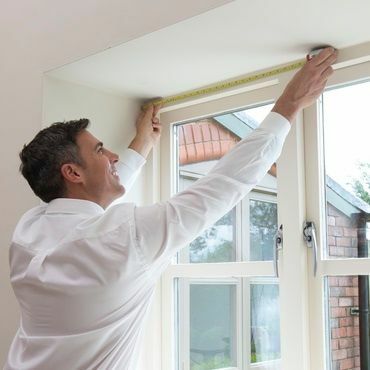 As well as measuring up and giving you a no-obligation quote to consider. If you decide to go ahead with your blind, they’ll call back at a later date to fit your chosen blind to a precise finish.